Purpose: This study reports the first results of the design and implementation of a computing curriculum in its third year in conditions that we believe to be extreme. Such conditions may arise in countries that suffer from conflicts or civil war. Design/methodology/approach: The study has been carried out from actual events and data from published and official documents. Findings: The first results have been statistically analysed and show positive transformation of many computer illiterate students into computer programmers, given extremely limited resources. 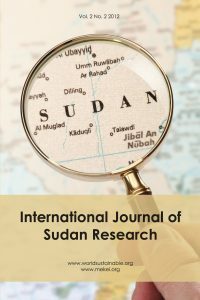 Research limitations/implications: The study has been carried out in the specific case of the University of Bahri, a university born out of the secession of the Republic of South Sudan from the Republic of Sudan. The study reports three years of implementation, so further research should be carried out after graduation of the first batch of students. Practical implications: The study contributes to the understanding of extreme conditions in university education that face least developed countries in general and those affected by conflict in particular. It also contributes to the design and implementation plan of a computer science curriculum. Originality/value: To the best of the author’s knowledge, no such study exists. The study reports first results that enable similar research to be conducted and will hopefully instigate active debate among researchers.